With the Continental Supersports, Bentley managed to infuse an already-sporty machine with even more performance, accompanied by little sacrifice to the brand’s country-club appeal. It doesn’t quite match the opulence of its “lesser” Continental GT and GT Speed siblings, but the Supersports isn’t trying to do that. This is an impressive machine that would be happy if driven to the office during the week and on the racetrack over the weekend. 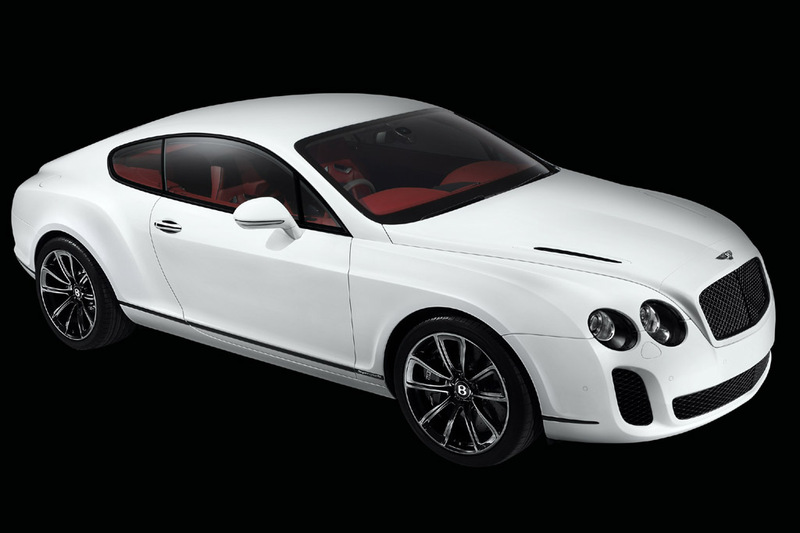 Launched as a 2010 model, the Bentley Continental Supersports was a high-performance version of this British brand’s “entry-level” Continental GT coupe. Weighing some 200 pounds less than the Continental GT, the Supersports also had all-wheel drive and came as a two-door coupe with standard two-passenger seating. A rear seat that increased capacity to four was optional. Due later in calendar 2010, as a 2011 model, was a Supersports convertible, which would seat four and had a power soft top. Supersports powertrains teamed a 621-horsepower, turbocharged 6.0-liter 12-cylinder engine with a six-speed automatic transmission. 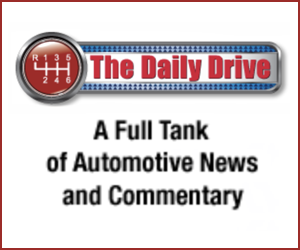 The engine could run on either gasoline or E85 ethanol-blended fuel. 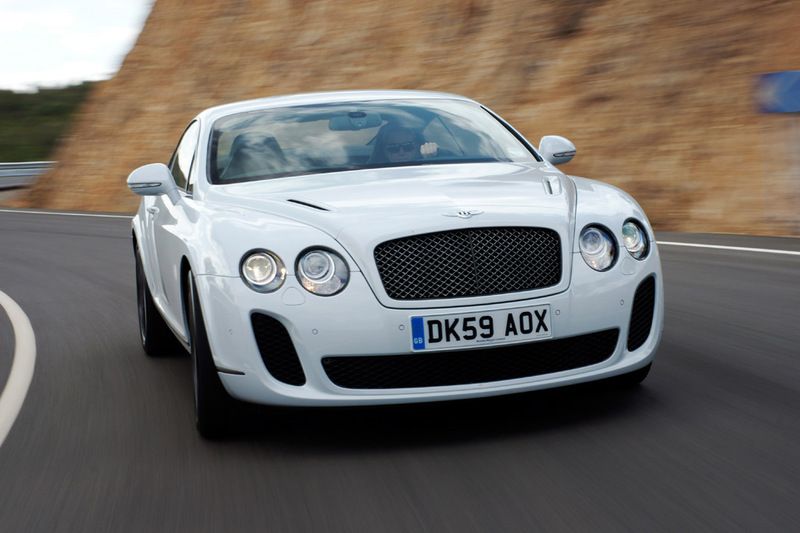 The Continental Supersports had a performance suspension. It halted with carbon-ceramic brakes, which were designed to resist heat. Available safety features included antilock braking, traction control, an antiskid system, curtain-side airbags, and side airbags. Among the many standard features were leather upholstery, heated seats, a power tilt-and-telescopic steering wheel, and a navigation system. A rearview camera and high-end Naim-brand audio system were optional. The “Supersports” model designation stemmed from the 1925 Bentley Supersports–a short-wheelbase version of the company’s sporting 3-liter motorcar of that era. Modern-day Supersports competitors included the Aston Martin Vantage, Maserati GranTurismo, and Mercedes-Benz CL-Class. As expected, a convertible body style joined the Continental Supersports lineup for 2011, equivalent to the Continental GTC soft-top but with considerably more power (621 horsepower, as in the Supersports coupe). Four-passenger seating was standard. 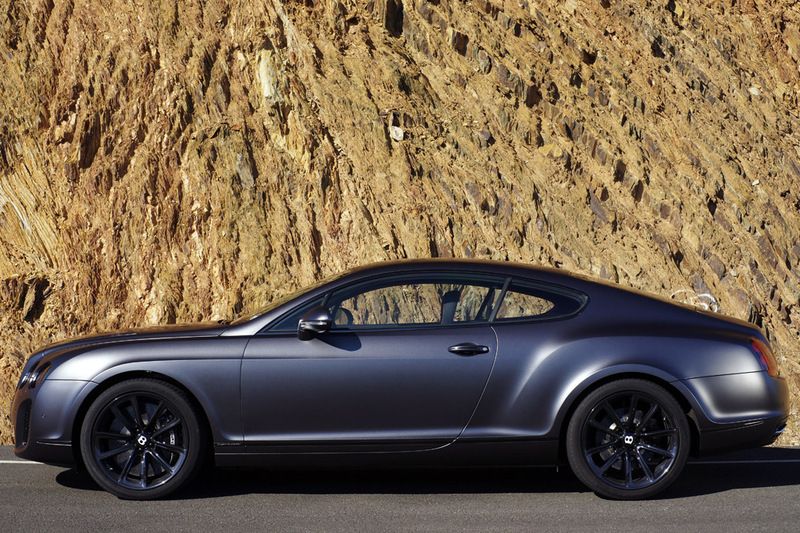 Satin-finish paint was among the Supersports options, along with leather/Alcantara upholstery. A limited-edition ISR convertible, with the W12 engine boosted by 10 horsepower (to 631), became available for 2012. That special IRS model commemorated Bentley’s record-setting speed for running on ice, reaching 205.48 mph on a frozen section of the Baltic Sea, near Finland. 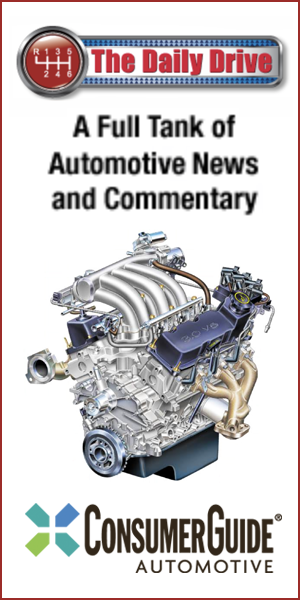 Sole powertrain for the Continental Supersports was a turbocharged .6.0-liter W12 engine that generated 621 horsepower, mating with a six-speed automatic transmission. A limited-edition ISR convertible became available for 2012, with 10 additional horsepower. Acceleration is simply tremendous. 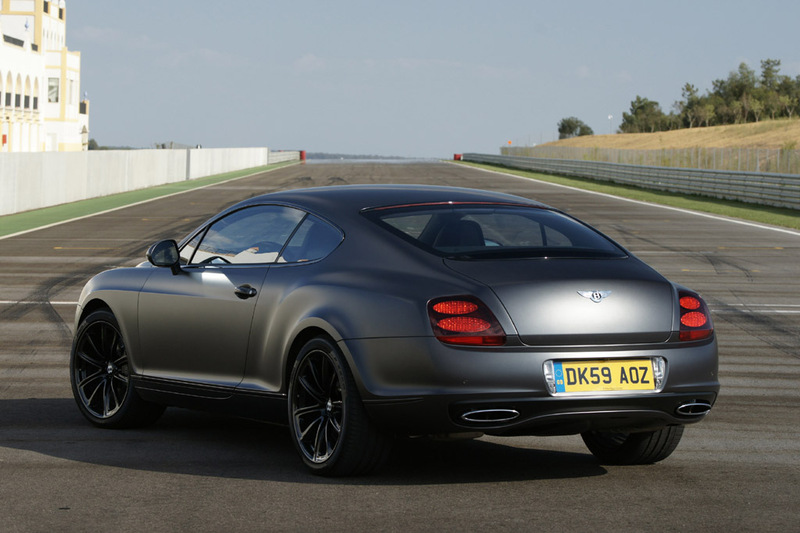 Bentley claimed the Supersports Coupe did 0-60 mph in a swift 3.7 seconds. It feels every bit that fast, which is an amazing accomplishment for a car that weighs nearly 5,000 pounds. Even moderate throttle application results in feeling as though you are being shot out of a cannon. The transmission delivers silky smooth shifts when left in fully automatic mode. They become notably firmer when using the standard steering-wheel paddles, but they’re never harsh. With great power comes abundant fuel consumption. In Consumer Guide testing, we averaged just 12.3 mpg. 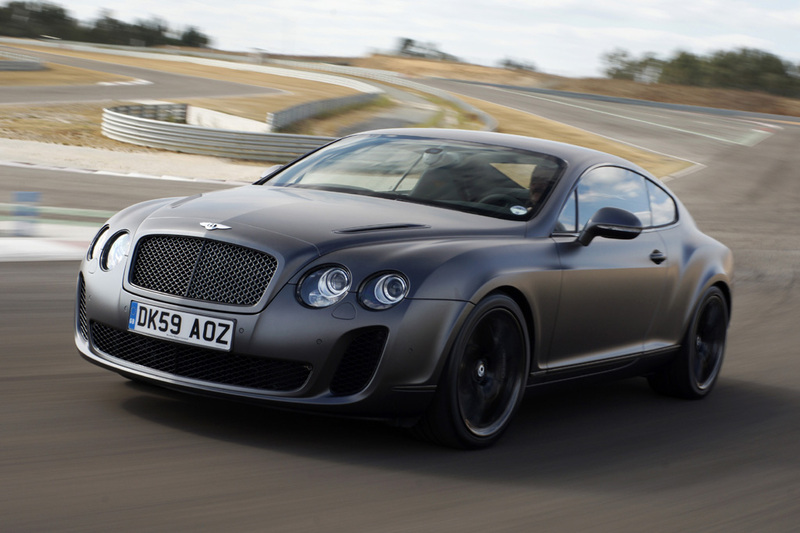 Continental Supersports uses premium-grade gas, and it can also run on E85 ethanol. The Supersports has an adjustable suspension with four modes, ranging from comfort to sport. The ride is very firm regardless of suspension tuning, and we couldn’t tell much difference among the different settings. It’s not exactly comfortable, but not punishing either. The suspension absorbs minor bumps well, but it has trouble with highway expansion joints. Handling is as nimble as can be expected from a 5,000-pound car. The car does its best to avoid feeling bulky in spirited cornering. We find the steering a bit too heavy at low speeds, but we appreciate the firm feel on the highway. The standard carbon-ceramic brakes have very strong stopping power but tend to squeal when coming to a stop. That’s actually normal behavior for this type of braking system. A Supersports doesn’t exhibit quite the level of serenity of its Continental GT and GT Speed siblings. The engine still sounds fantastic while accelerating and fades in the background while cruising. Some tire and suspension noise intrudes into the cabin. Large, classy-looking gauges are easy to read at a glance. Most controls are within arm’s reach, though some are mounted low on the dashboard. Bentley manages to group most functions logically without resorting to the “one-knob” systems that plague higher-end Audi, BMW, and Mercedes vehicles. Without a touchscreen or “one-knob” control, however, the navigation system is quite difficult to program. Though it might not quite match the level of opulence of the Continental GT and GT Speed, the Supersports is plenty fabulous in its own right. Its blend of suede, metal, and carbon-fiber trim is an ideal melding of sport and luxury. Front seats are sport buckets specific to the Supersports. They have thinner padding compared to other Continental models, and they also have much more substantial side bolstering. In order to keep the car’s weight down, this model has no height or power adjustment. This makes it somewhat difficult to find an ideal driving position, especially for shorter drivers, since they will find it tough to see over the tall dashboard. Oddly, though, the steering wheel has power tilt-and-telescopic operation. The wide center console is close to a driver or passenger’s inner leg, making the cabin seem more cramped than it actually is. The sloping rear roofline, small window and power pop-up rear spoiler hamper rear visibility. Two-passenger coupes have specific sport bucket seats. Despite a small opening, the Supersports’ trunk is surprisingly spacious. If the Supersports coupe has no rear seat (which was an option), the area behind the front seats can be used to hold small parcels. Cabin storage is limited to a small glovebox, center console, and door pockets. Price Note: Add $4500 Gas-Guzzler Tax. Coupe requires rear bucket seats.